You can add and watch a calendar for each room on Ås and Adamstua. You can then view if the rooms is taken or available. 1. 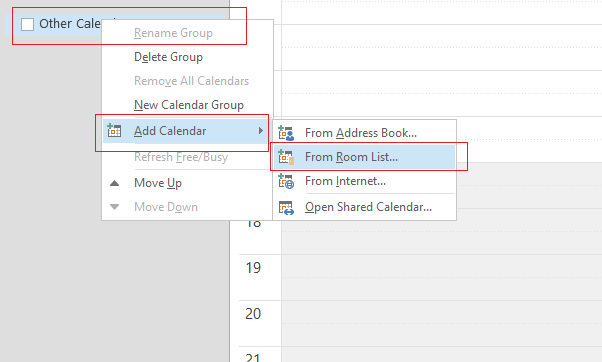 Open Outlook and choose Calendar. 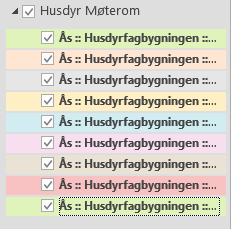 Right click “Other Calendar” then “Add Calendar” choose “From Room List…”. 2. 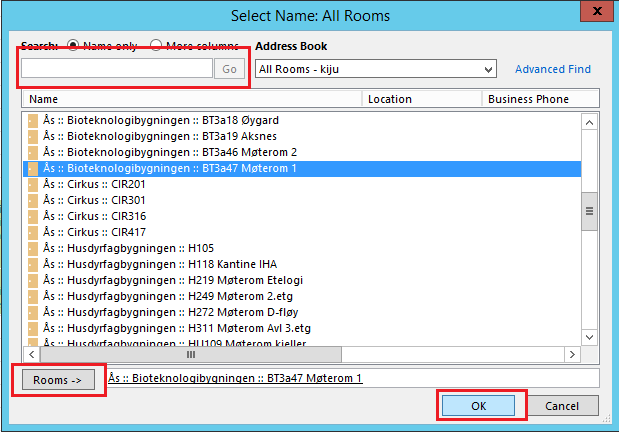 Type the name of the room you want to add, or choose it from the list. Click it and hit “Rooms ->” so it appears in the field beside it. Then hit “Ok”. 3. 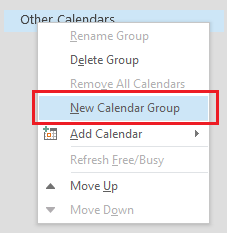 The room is now added in your Outlook, and you should see it under “Other Calendars”. Here you can add multiple rooms and choose which you want to view by checking the box infront. Make a new group and add multiple rooms. 2. 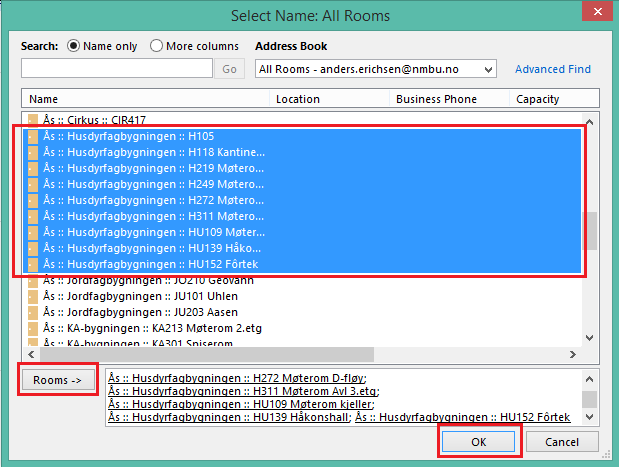 Mark all the rooms you want to add by clicking them one at a time while holding down Ctrl. Then hit “Rooms ->” then “Ok”. 3. The chosen rooms should then appear in the group. You can then show/hide all the rooms by using the box beside the group, or show/hide individual rooms by using the boxes beside the room names. 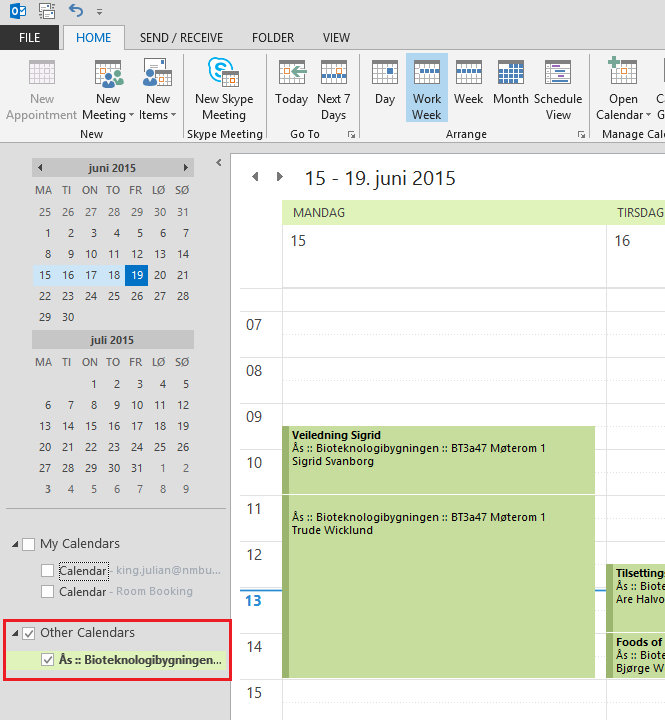 This entry was posted in IT-documentation and tagged Calendar, Outlook, Room on June 22, 2015 by Anders-Budde erichsen.